Special interest groups have spent about $2.2 million on outside electioneering activities to support and attack the candidates in next week’s Wisconsin Supreme Court election, according to a preliminary review by the Wisconsin Democracy Campaign. Three groups that traditionally back Republican and conservative candidates spent just over $1.1 million to support conservative candidate Michael Screnock, a Sauk County Circuit Court judge. Most of the money spent by these groups was for secret issue ad spending. The spending on behalf of Screnock does not include nearly $300,000 in state and local Republican Party support because these were contributions to his campaign. 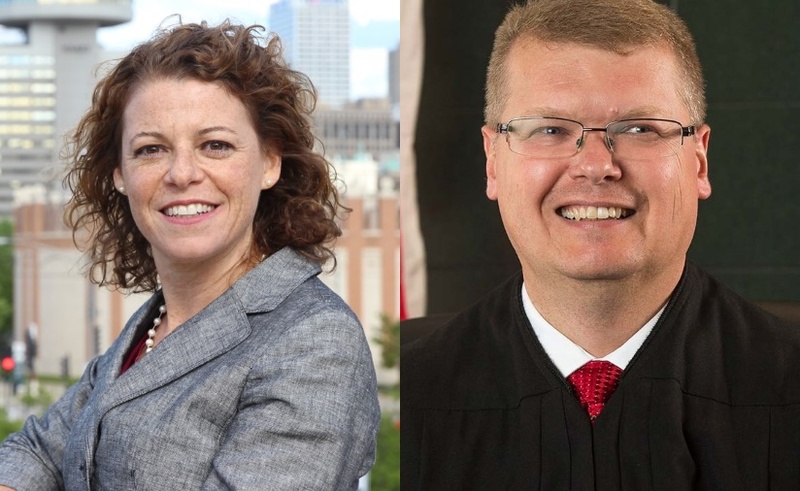 Seven other special interest groups that traditionally back Democratic candidates have spent an estimated $1,050,000 to support Screnock’s opponent, Rebecca Dallet, a Milwaukee County Circuit Court judge. Most of the cash spent by these groups was for disclosed independent expenditures. Though officially a nonpartisan race, Dallet has drawn support from traditional Democratic allies and contributors and Screnock is backed by groups and contributors that usually support Republicans and conservatives. Topping the list of outside election spenders so far is Wisconsin Manufacturers & Commerce (WMC), the state’s largest business group, which has secretly raised and spent an estimated $950,000 on issue ads to support Screnock and attack Dallet. WMC is one of the top outside electioneering groups in Wisconsin since 2010 and supports Republican and conservative legislative and statewide candidates. Behind WMC was the Greater Wisconsin Committee, which has spent an estimated $700,000 to support Dallet and attack Screnock. Greater Wisconsin is the top-spending outside electioneering group in Wisconsin since 2010 and supports Democratic and liberal legislative and statewide candidates. Two other groups have spent more than $100,000 on the race. The National Democratic Redistricting Committee is spending $165,000 to back Dallet and the Wisconsin Alliance for Reform has doled out an estimated $125,000 to support Screnock. All of the groups’ preliminary spending estimates are based on television and radio ad buys, production cost estimates, and other electioneering activities described in paperwork filed by some of the groups with the state as of earlier this week. Final reports on fundraising and spending by the groups and candidates will be issued in the coming weeks and later this summer. For more details about the groups and their spending, check out the Democracy Campaign’s Hijacking Campaign 2018. To see the latest information about the candidates’ fundraising and spending, go here. Dallet really made that fat republican guy look dumb in the debate last night. He could hardly talk which was a good thing because everything he said was wrong and idiotic. He won’t even recuse himself from cases that involve donations to his campaign?! That’s wrong, wrong wrong!